In this section you will find information dedicated to the greater community of Bainbridge Island and Seattle. Here we will spotlight fun events and local businesses for our residents. The concept for Grow Community has always been based on an intergenerational community. We imagine a neighborhood where families, young children, singles, retired couples, and elders all live in homes that suit their needs. But not only that, the community, in it’s physical and social design is intended to encourage interactions amongst all these residents. 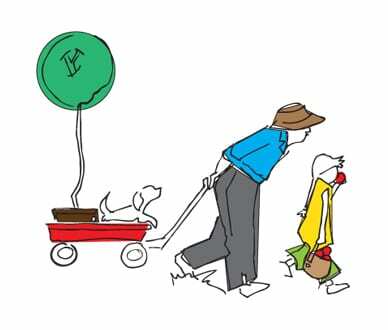 We imagine a neighborhood where relationships are formed, spontaneously and intentionally, where young and old play together in the garden, share experiences and care for each other. To explore what this type of community might look like, we held a workshop last month. 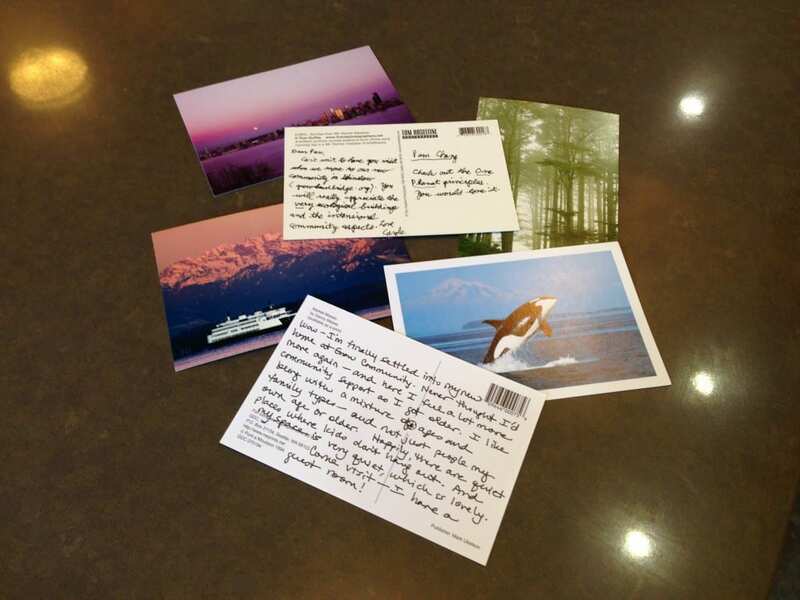 In our workshop we asked folks to ‘backcast’ – imagining that they were living at Grow already and they sent a postcard to a loved one about the community. Here is what they wrote. Dear Racheal, Can’t wait to have you visit when we move to our new community in Winslow (growbainbridge.org). You will really appreciate the very ecological building and the intentional community aspects. Love Kate PS – Check out the One Planet Principles – you would love it. Wow – I’m finally settled into my new home at Grow Community. Never thought I’d move again – and here I feel a lot more community support as I got older. I like being with a mixture of ages and family types – and not just people my own age or older. 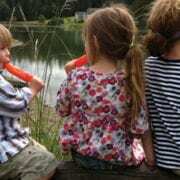 Happily, there are quiet places where kids don’t hang out. And my space is very quiet, which is lovely. Come visit – I have a guest room! We are constantly using words like inclusivity, walkability, visitability and (of course) sustainability in our conversations about how we design, build, and create opportunity for community to take hold in a place. Considering all these words and all our hopes and dreams to incorporate in one place can be quite a challenge… and one we are thankful to be undertaking. This is made easier with ideas from our community. The next buildings we construct will be designed to take this intergenerational concept to the next level. The beginning of an idea has taken shape as we’ve listened to your feedback. A building based on Universal Design principles, with one-level flats, accessible spaces, comfortable spaces, spaces designed for people of all ages. Couldn’t make the workshop, but have some ideas to share? Please share your thoughts by clicking the comments link above. No idea is a bad idea! We look forward to hearing from you. 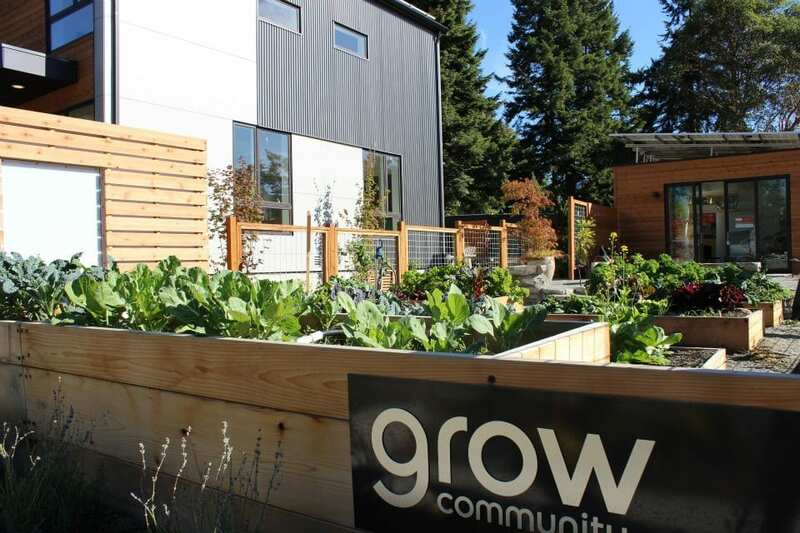 Grow Community is following One Planet Living sustainability standards for a planned 130-unit residential development. Grow Community has started work on a 130-unit residential development on Bainbridge Island. The development says it will use roof-installed solar panels to provide 100 percent of the power needed for each residence. The project has received the One Planet Living seal of approval, the fifth community to do so, says Marja Preston, president of Asani, the real estate development company overseeing the Grow development. One Planet Living is a global initiative launched by the World Wildlife Fund and environmental consultancy BioRegional that promotes zero-carbon emissions, zero waste and car-free cities. “The most important principle we have committed to at Grow is to design and build zero carbon buildings by 2020,” Preston explains. In addition to generating all of the building’s energy needs from solar, the Grow Community will feature heat recovery ventilation systems, energy efficient appliances and LED fixtures, she says. “Since our lifestyle choices from food and transportation have almost three times the carbon impact our buildings do, we have paid particular attention to community gardens of edible plants, as well as an electric car for our car-share program,” Preston adds. 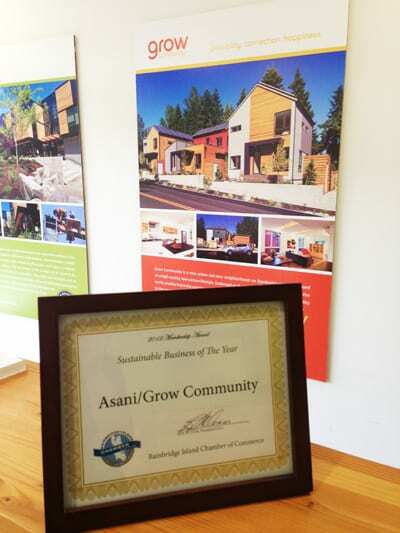 Grow Community/Asani were honored to receive the 2012 Sustainable Business of the Year award from the Bainbridge Island Chamber of Commerce. This is an award that was truly achieved due to the support and involvement of our greater Bainbridge Island community. Thank you. https://growbainbridge.com/wp-content/uploads/2013/01/Winner1.gif 139 139 Grow Team https://growbainbridge.com/wp-content/uploads/2018/05/growlogo-300x110.gif Grow Team2013-01-31 22:21:462017-01-30 23:50:51Grow Community Awarded Most Sustainable Business of the Year! indoor workshop/garage space for bicycle tune-ups etc. We have continued to share a common hope and dream of an intergenerational community and that was evident through the course of our workshops. Whether it be young families, teens joining us to add their input, empty nesters, and those young at heart, everyone had something wonderful to share. All this helps us as we start from here and work toward designing this community space. Couldn’t make the workshop, but have some ideas for the space? Please share your thoughts by clicking the comments link above. No idea is a bad idea! We look forward to hearing from you. Our next workshop on January 26th will explore intergenerational living options at Grow Community. Please click here for more details and to RSVP. Are you interested in joining the Grow Team to help design the neighborhood Community Center and to explore intergenerational living options at Grow Community? We will be hosting a series of interactive workshops in January to gather your thoughts and plan these spaces. Let the fun begin! Now that Grow Community is under way, we are ready to begin the next phase – design of the community center. This is your building, your place to hang out with friends, host a birthday party, read a book by the fire, work on your bike, participate in a yoga class. Art studios, rooftop gardens, freezer storage, tool library and workshop, movie room, playroom, the list goes on. As with everything at Grow, the possibilities are endless. But it won’t all fit in one building, so we’ll have to choose. And the choices are yours. Please join us for an interactive workshop to share your ideas for this space. We have a new idea! We are not sure what form this one will take and we want your help. The concept for Grow Community has always been based on an intergenerational community. What does that mean to us? We imagine a neighborhood where families, young children, singles, retired couples, and elders all live in homes that suit their needs. But not only that, the community, in it’s physical and social design is intended to encourage interactions amongst all these residents. We imagine a neighborhood where relationships are formed, spontaneously and intentionally, where young and old play together in the garden, share experiences and care for each other. The next buildings we construct will be designed to take this intergenerational concept to the next level. The beginning of an idea has taken shape as we’ve listened to your feedback over the last several months. A building based on Universal Design principles, with one-level flats, accessible spaces, comfortable spaces, spaces designed for young families and elders. We are not quite sure yet what this building or the homes within it will look like. We want to hear from you. How do you want to live? 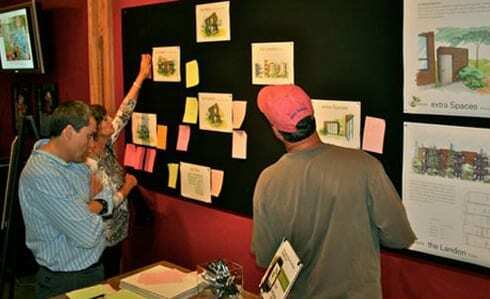 Come help us design your new home. Happy Holidays, from the Grow Team! 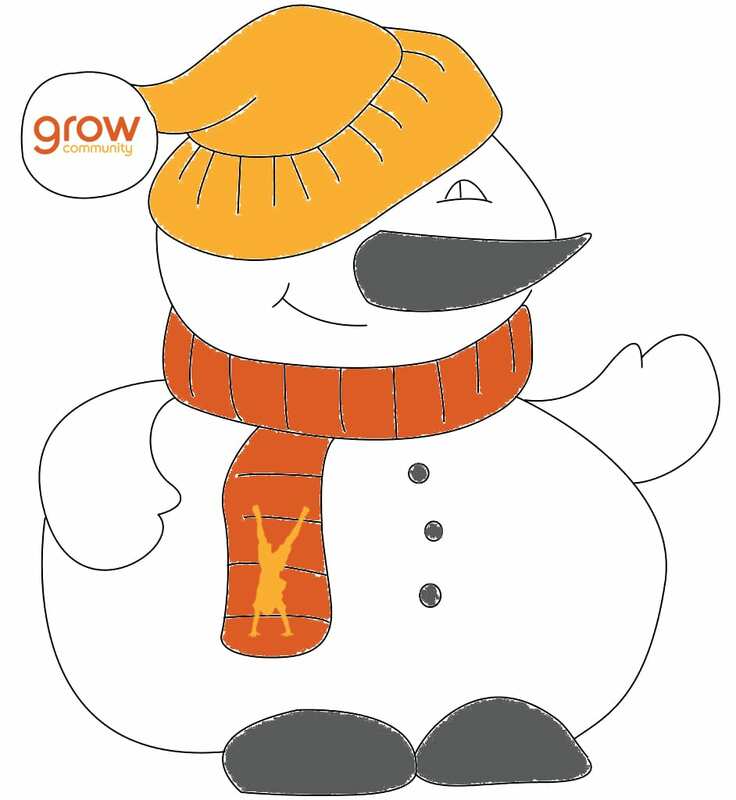 We, the Grow Team would like to wish you all a wonderful holiday season! As the days get colder and the holidays are upon us we would like to take a moment to reflect on the past year. In 2012 we opened our first three model homes to the community for tours and are now underway with construction of the next 20 homes and 20 rentals that will make up the first phase of Grow Community. After the New Year the first residents will be moving in and calling Grow home. The Grow Team has been working behind the scenes on this project for over two years now and it is wonderful to finally see the community begin to come together. With Grow Community, we presented the concept of One Planet living – a community that allows residents to reduce their ecological footprint while maintaining a happy and healthy lifestyles. 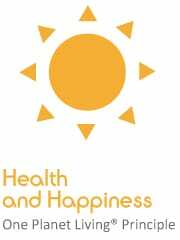 In a year where health, global climate and community wellbeing has risen to the top of our consciousness, we hope that our small project will provide an example of how we can all impact change in our communities. We know we are incredibly lucky to be living and working on Bainbridge Island. 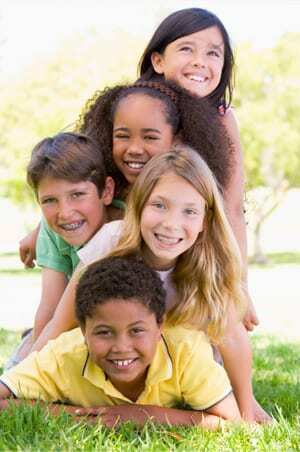 Our island is just the place where our dream of a healthy, safe, and intergenerational community can become a reality. As Grow Community takes shape we continually strive to create a place that both fosters community and is also restorative to our earth. We are impassioned every day when we meet community members that share our vision and that are dedicated to improving the world around us. We are thankful for our family, friends, neighbors, fellow co-workers and the community we live and work in. We hope that you will continue to contribute and help us to build positive community on Bainbridge Island in whatever way inspires you. From our family to yours we wish you a safe and happy holiday season. 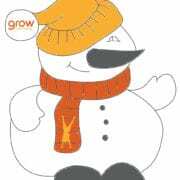 https://growbainbridge.com/wp-content/uploads/2012/12/Grow-snowman2.jpg 1024 942 Grow Team https://growbainbridge.com/wp-content/uploads/2018/05/growlogo-300x110.gif Grow Team2012-12-21 23:14:032017-01-30 23:50:52Happy Holidays, from the Grow Team! The following is part of our Five Minute Lifestyle series. Living at Grow Community makes getting out your car easy with all of your local amenities and transportation needs met within a quick 5 minute walk or bike ride away. Our Five Minute Lifestyle posts are dedicated to spotlighting nearby local businesses, transportation options for residents, community resources and the spectacular local attractions of Bainbridge Island and our surrounding community. As a 12-year-old, I remember well the territory I was comfortable exploring on my bike with friends and siblings. We could ride on a dirt path from the residential road through an empty lot to the usually vacant parking lot behind Safeway. The empty lot had little hills that helped us hone our bike handling skills. And the Safeway store offered us refunds for empty bottles and plenty of ways to spend the new cash. 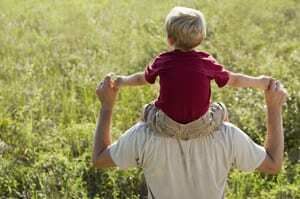 These days, as parents we put a lot of money and time into taking care of our kids. Different families make different choices, but the community we live in makes many choices for us too. During the week we drive our kids from one activity to another, and then on weekends we drive to big box stores to provision ourselves for the coming week. These rituals can be fun… come on, admit it, Costco has us nailed, offering free samples of prepared food sold in volume, cheap pizza or a cone at the checkout. But it is not a kid’s world. We don’t feel safe letting our children run around by themselves as we shop. Going somewhere and buying something… that is what grown-ups do. So isn’t it the Holy Grail of freedom for a kid to be able to get somewhere by themselves and purchase something of high kid-value? How many parents with school-aged children in your neighborhood would think it safe to send their kids to the grocery store alone? 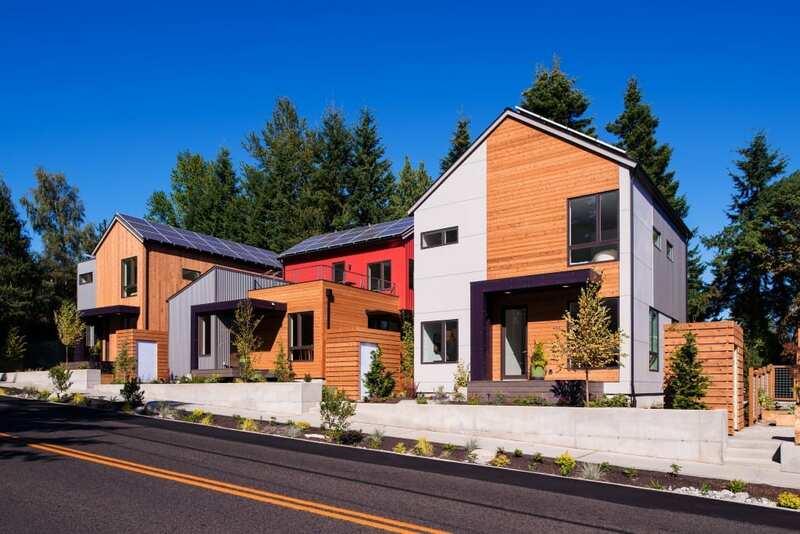 Architect Ross Chapin is an advocate of small scale communities. 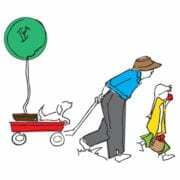 In his book “Pocket Neighborhoods”, Chapin describes what he calls the “Popsicle Index” – the percentage of people who think it is safe to let their kid walk to a store and buy a Popsicle without adult supervision. 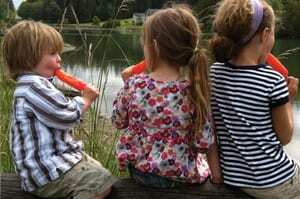 On Bainbridge Island, we are lucky to have Mora’s Ice Cream, surely a part of many families’ ritual outings long before a kid has much independence. So. If you lived within walking distance from Mora’s in downtown Winslow, would you let your daughter walk there by herself to buy a treat? To reach that Holy Grail safely, a child needs to start much earlier in life with smaller circles of independence, or safety zones that expand with the age and confidence of the child. A safe base creates independence. 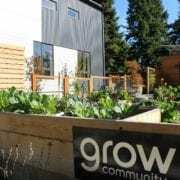 The Grow Community is designed so that no one ever crosses a street while inside the community. Courtyards between homes are the protected close-in zones, with opportunity to meet the neighbors as the first integration into the larger community. Living in this community, a child will graduate to playing alone at the community center, with helpful eyes watching out for the unexpected. It takes a community to keep an independent child safe, to contribute to raising independent children. When children graduate to the outer circles of the community, there are many options for walking and biking—to get to two nearby elementary schools, Ordway and Odyssey, the two Island middle schools, Sakai and Woodward, and the high schools, Bainbridge and Eagle Harbor. The library and a park is even closer. The Farmer’s Market is practically across the street. Hmmm. Maybe this smaller world helps us stay out of our cars and gives our kids the autonomy they crave a little earlier! Leslie Schneider is a marketing and communications specialist with a history of building community. Leslie has worked with both start-ups and software giants offering messaging, marketing collateral, and training development. 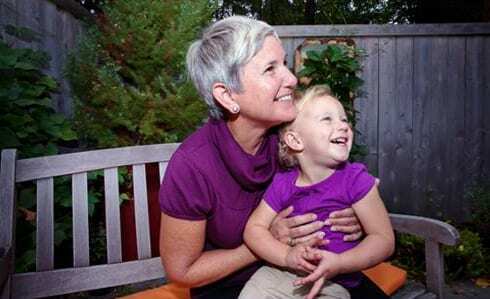 She is also a founding member and ‘graduate’ of cohousing, having developed and then lived in Jackson Place Cohousing (near downtown Seattle) for eight years. 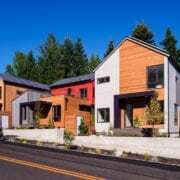 She served on the cohousing development LLC managing board for five years and was the owner’s representative for the 27-unit condominium construction. You can find her at Office Xpats, a co-working and conference center based on Bainbridge Island. We’d like you to meet Scott McGowan, One Planet Champion for our 7th One Planet Principle, Local and Sustainable Food. We asked him why he got involved with Grow and to share his thoughts on the One Planet program. Here is his response. I decided to get involved in the Grow project after meeting Jonathan Davis. He is a long time family friend of my wife, Haripurkh Khalsa , and previous student of her father Guru Singh. Jonathan explained the One Planet concept and I was thrilled. The core of The One Planet concept is exactly how I try to live my life, and exactly where we need to be striving towards with all development. I have an electric truck, electric tools and don’t use any pesticides or harmful chemicals in my work. I have spent the last 10-15 years planning and working on community gardens and I could not believe that a private development actually could be so focused on growing food as a means to build and create community! The network of community gardens will create a better place for the residents by (1) reducing the amount of trips they need to take to the grocery store, 2) eating and living healthier lifestyles 3) building strong friendships and community 4) donating fresh foods to local food banks 5) educating residents and the broader Bainbridge community about growing food and building sustainable community through modeling and 6) providing fun community events in the beautiful outdoor garden spaces. I believe that the network of community Gardens built into the overall design of the Grow Community is the key piece that can make this innovative concept work. Community gardens/farms take teamwork and community involvement to run. They will serve to connect neighbors in Grow with each other, and with the surrounding community. The shared goal for Grow is to provide an important educational opportunity for children and creating future advocates for community gardens. 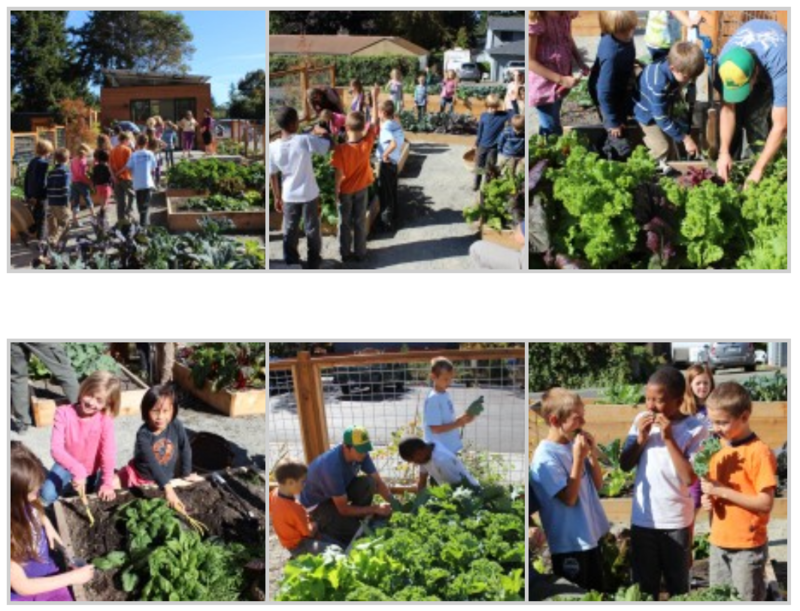 A few weeks ago Scott engaged local elementary students from Madrona School in the first harvest of our welcome garden. The effort was part of an educational program in local and organic foods. The kids harvested, learnt to cook with some of the vegetables, and provided some to the local food kitchen at Helpline House on Bainbridge. For more about Scott’s organization Alleycat Acres, click here. Our neighbor, the Peacock Family Center has given us permission to repost a Thanksgiving message written by one of their teachers. Peacock provides family support and services for the greater Bainbridge Community. When we read this post in their monthly newsletter, we were struck by the wonderful reminder of gratitude. So often in our busy lives we forget to stop and simply be grateful for the many gifts that we experience every day. We share this gift with you in hopes that you too will find the time to pause and reflect on friendship, community and the simple things that add joy to your life every day. Happy Thanksgiving, from the Grow Team! November can be a time for quiet introspection in the form of gratitude and thankfulness, a time to look at what is around us and really appreciate the bountifulness of our lives and those whom we love. We all impact each other each and every day, and it is a good time of the year to reflect on this, and the gratitude that we have towards what is so fortunate in our lives. At Peacock, we are always mindful of how we are thankful towards each other. It is a place of giving and nurturing and appreciating each other for this, a love that is ever-present from day to day. 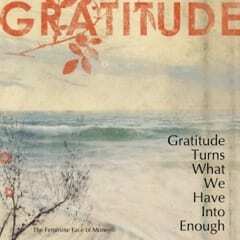 We add this piece to the holiday of Thanksgiving, and the result is a celebration of this sense of gratitude, for celebrations are necessary in our lives, marking milestones and happy occasions. It is good to step back from the stress that can sometimes filter into our lives in order to appreciate life’s simple gifts as we pause for a moment and give thanks to those around us who have shown us love and care. It is a universal celebration of gratitude. Yet, one must also be mindful that Thanksgiving, while it is widely celebrated by many in the United States and Canada, including by new immigrants, it is not a holiday that is embraced by all. 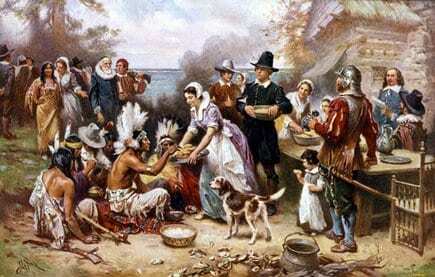 The story and traditions of Thanksgiving reflect the perspective of the European colonists, not the indigenous people who had already been living on the continent for many thousands of years. While Thanksgiving honors the struggle of a group who immigrated in search of a better life and religious freedom, it does not recognize what the cost was to the Native Americans they displaced. So, how do you “celebrate” Thanksgiving in a mindful way, and how do you introduce young children to concepts of Thanksgiving without instilling prejudicial attitudes? I like to look at it as a moment in history when two groups of people who didn’t know each other sat down and shared food they had prepared. In sharing there is a peaceful quality, a way to bridge a gap between people who don’t know each other very well. I like to talk of the Native Americans in a contemporary, non-stereotypical way, and I like to talk of the Pilgrims as newcomers who needed to learn the ways of the people who had lived there for years and years and years, people who knew important things that the Pilgrims needed to learn in order to live here. Young children can relate to the kindness one shares with people they do not know, and how to learn about how to get along in a respectful framework. So, in 1621, when these so-called pilgrims sat down at the table with the Wampanoag at Plymouth Colony, very important things happened besides just eating. It was the background for cultural exchange, for friendship building that crossed over differences, a vital concept that we are still working on in our culture to this day. Besides venison, what did they eat on that First Thanksgiving? 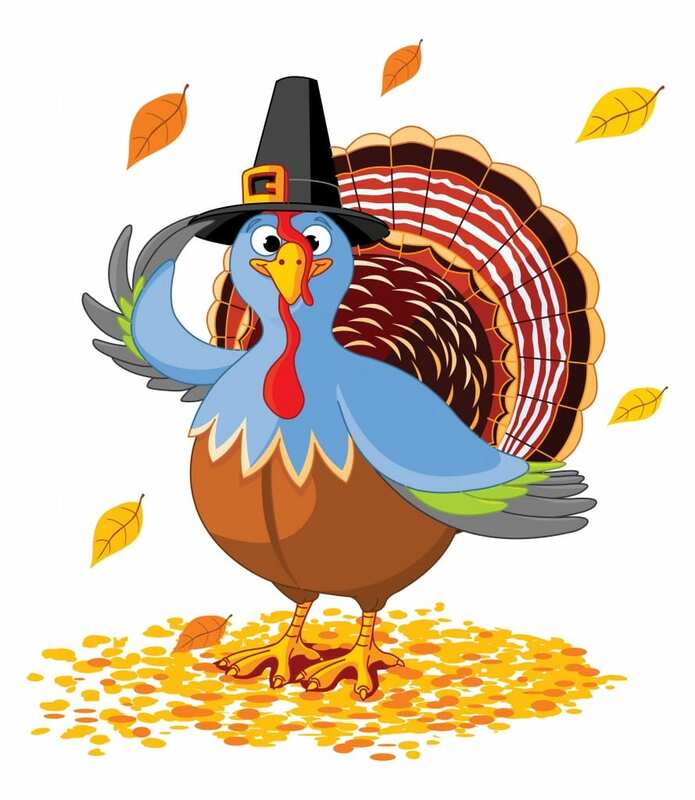 Wild turkeys, Indian corn, goose and duck, eels and shellfish, chestnuts, walnuts, and beechnuts, beans, all kinds of squash and pumpkins, and all kinds of root vegetables. In short, for three days they feasted on food that they had harvested and hunted and carefully prepared, food that would connect two cultures and would create friendships. Heidi Harrison, Program Supervisor. Heidi works in all of the classrooms at the Peacock Family Center, mentoring, assisting and guiding teachers in their work, supporting families, designing curriculum and arranging for field trips and community immersion. With a passion for teaching of the highest quality, a bright laugh and smile and a depth of knowledge of all things developmental, Heidi happily leads our teachers and children on their growth path. https://growbainbridge.com/wp-content/uploads/2012/11/1weblogo-300x84.jpg 84 300 Grow Team https://growbainbridge.com/wp-content/uploads/2018/05/growlogo-300x110.gif Grow Team2012-11-20 20:48:202017-01-30 23:50:53Happy Thanksgiving! Three years ago, I participated in my first PARK(ing) Day – an annual, open sourced global event in which people from all walks of life temporarily transform parking spaces into public places. That day forever changed the way I view how space is utilized in an urban setting. Over the course of the weeks following PARK(ing) Day, I set off to find an answer to the question: How can vacant spaces be used to bridge communities together? 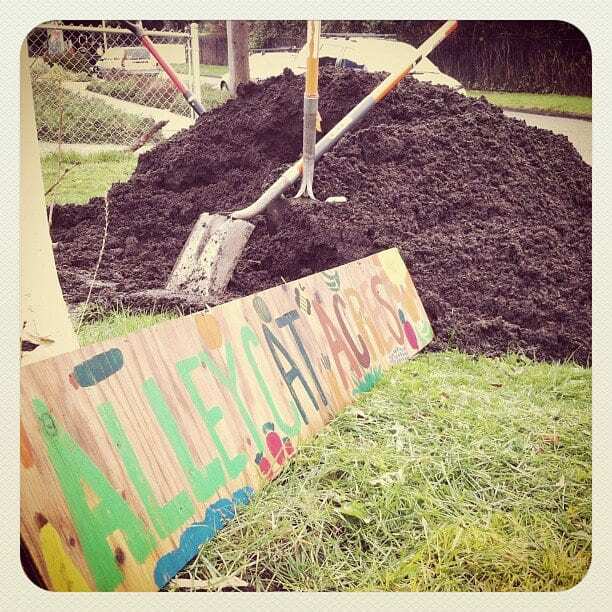 Alleycat Acres was born during winter 2010, under the idea to (re)connect people, produce and place through building a network of neighborhood run farms on underutilized urban space. By early 2011, twelve dedicated, diverse strangers came together to turn this idea into a reality. Together, we worked creatively to build the first farm in Beacon Hill, on a plot of land donated by a retired school teacher. That same summer, we broke ground on a 2nd farm in the Central District; and this year we celebrated our 2 year birthday by breaking ground on a 3rd farm, also in the Central District. Our farms serve as community meeting grounds – allowing places for people who’d never normally meet to do just that — all while growing a healthier future. In the two years we’ve been growing, there’s been over 3,000 pounds of food harvested from all of the farms by the hands of more than 1,000 newly made friends – many of whom never have stepped foot on a farm or in a garden. All that produce that was grown? It went right back to everyone who helped it grow, along with one of three neighborhood based food banks that are close to each farm which is delivered by bicycle. At the heart of our organization is the belief that food is more than what we eat. To all of us, it’s a medium through which we can forge intimate, meaningful relationships between people and place. Farming is a medium that reconnects us, both mentally and physically, to our surroundings. Our entire work is based on the collective belief that neighborhood powered urban food systems are key in creating healthy people and healthy places. With every carrot we harvest, the promise of a better future is visible. Together, as we’ve learned, we can grow forth. Check out more from Scott McGowan here at the Alleycat Acres Website and on Facebook, as well as his previous blog post on the Grow Blog here.